For the first layout this week, we have for you a Bed and Breakfast Layout Pack of the highest quality. Like any great bed and breakfast, this layout pack is luxurious and organized with all the necessities. With clean and modern design, each page has everything laid out in its proper place making it easy for visitors to browse rooms and their features, click on promotions and deals, and even take a tour of each room with a combination of video and images. In addition to a stunning landing page, there is also a rooms page for all your room listings and a single room page for showcasing specific room details. Check it out! 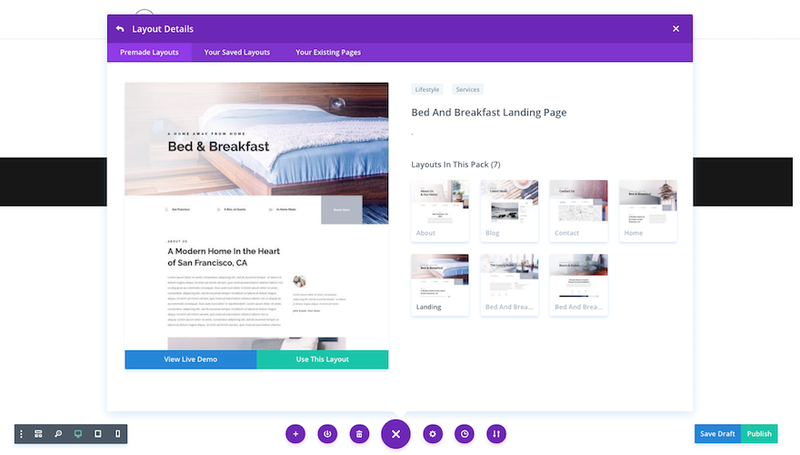 This layout pack has some unique page layouts including dedicated room pages for room listings and single room details which is a must for a bed and breakfast site. It also has a nice and compact video and image layout for taking a tour of room features. The light background really makes the images pop and the color scheme is elegant. And the unique placement of the map on the contact page is refreshing. The layouts are nice and appreciated. May I ask for a couple things as suggestions? 1. I’d love to see more tutorials on how to make a cool section and include that section for download. 2. Could we have a place to enter notes? Maybe below the admin label of modules with tooltip mouseover? e.g., I made a section that used an image as a background. I would like to make a note that reminds me that the image is a background and the size of the image would be helpful. 3. Divi ought to pull titles and alt tags from media library but we should be able to overwrite because we may use an image in a blog post multiple times. Very nice layout pack, love it. This layout looks good, but it sure looks a lot like the others. I really think this was your opportunity to do a something loose and rough — you know, for a lakeside B&B. But instead, we get the standard nouveau-chic layout. Hi, guys, how have they been? Because elegant themes still do not have reserve plugins to make compatible reservations with woocomerce. Is there no screen that has a reserve reservation? 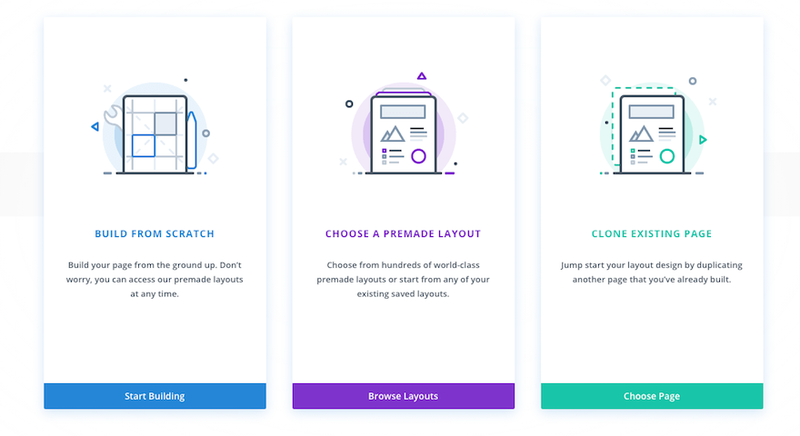 Truly amazing layout and I am a huge fan of Divi builder (most page builders). Every company having a page builder product is working hard to improve the quality of the product and adding new useful features to it. This is too good. I find only one drawback in divi and that is – less options in the BLOG module. The blog is always the identical. Either we can use the default blog archive page or a blog module which can either display blog in full width or 3 column grid. No more options ahead. 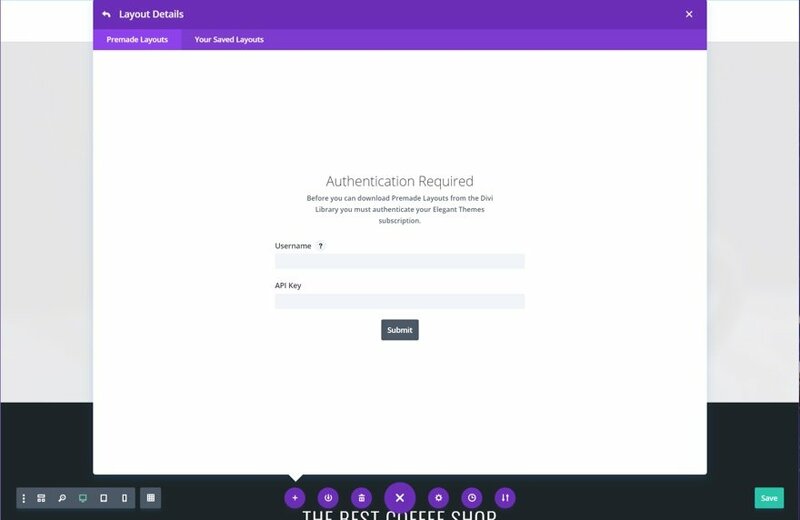 Well, even without that, Divi builder is awesome. But I regret the redundancy on several pages and the lack of a real reservation system. Hey thanks, but what is the use of this without a BOOKINGS/RESERVATION system….? Hope you guys can hear what a lot of people are asking for. This layout looks terrific. I’ve been looking for something fresh for my site. I’m going to try and incorporate some of the features on my new site I’m building. Great layout – thank you. Please can you have a look at hospital layouts? I would like to know how the blog of the theme works, since when installing this theme, the part of the blog that goes out blank and when entering new news, does not come out as in the design. The titles and date come out on top of the photograph and I can not find where to change what is under this photo.